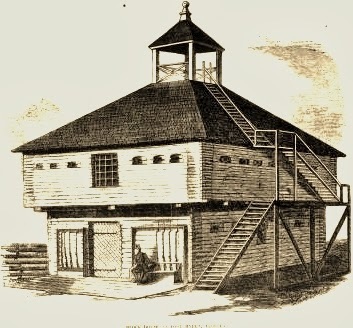 Camp Curtin (Harper’s Weekly, 1861). 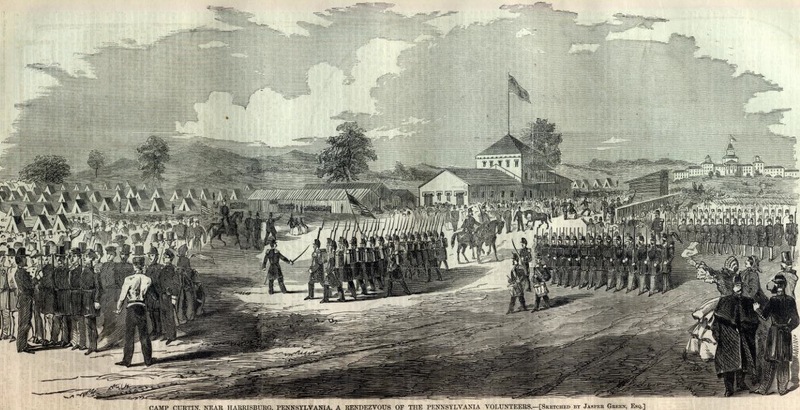 During the evening of 6 October, the regiment broke camp, and marched for Camp Griffin, Virginia beginning at 3 a.m. on 7 October. As they progressed, they pushed back Confederate pickets along the entire route to Lewinsville, Virginia. With Rebel pickets in sight, but no attack made, the 47th Pennsylvania Volunteers fortified the artillery batteries from 10 a.m. until ordered to rest from sundown until daylight. 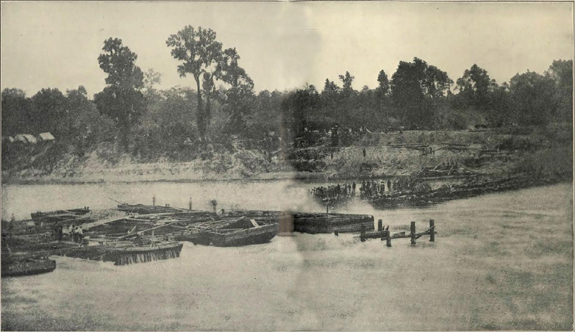 Felling trees, they built a 5-mile-long road, dug rifle pits, and built earthen breastworks around the placements of Union cannon. 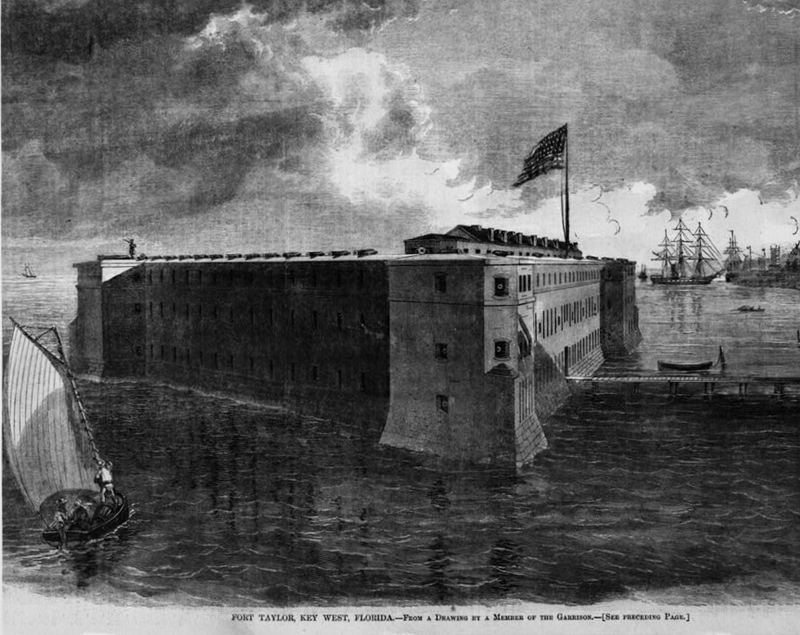 Fort Taylor, Harper’s Weekly, 1864. Confederate battery, Saint John’s Bluff, 1862. Reports on Saint John’s Bluff and Related Events: Lieutenant-Colonel Tilghman H. Good, Commanding 47th Pennsylvania Infantry (2-3 October 1862). 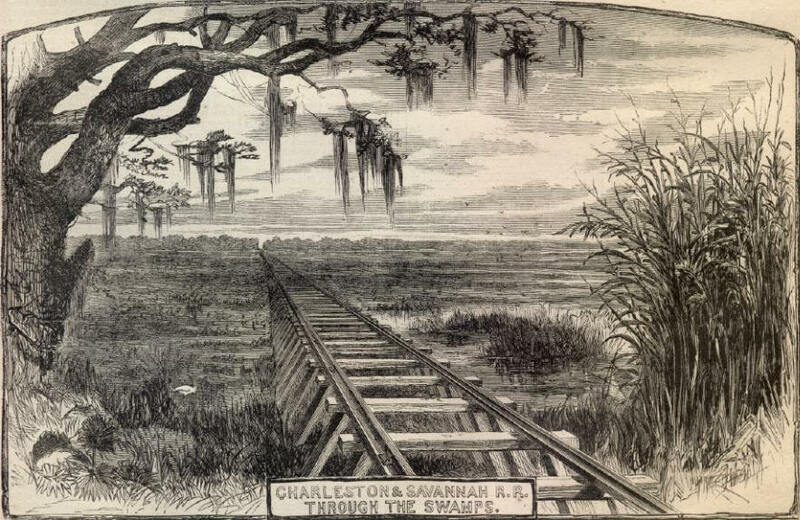 Charleston & Savannah Railroad, Harper’s Weekly, 1865. 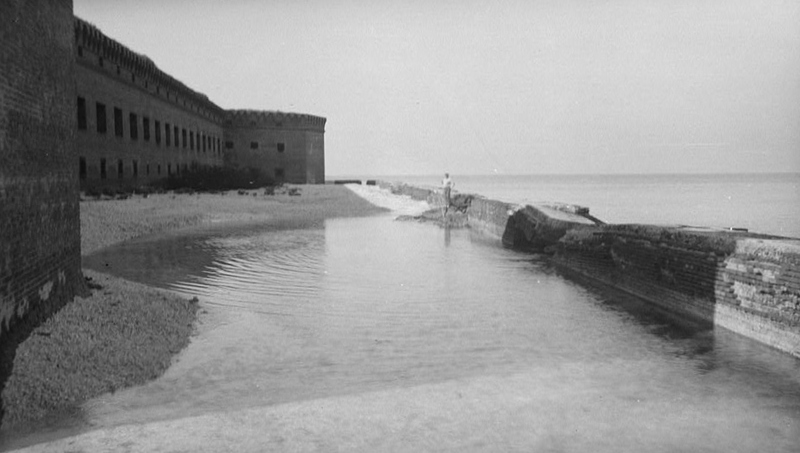 Fort Jefferson, c. 1934, U.S. Library of Congress, public domain. Blockhouse, Fort Myers, Florida Memory Project. Pres. 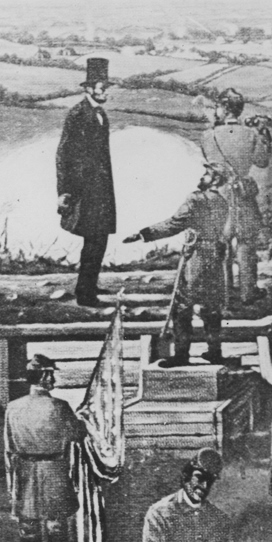 Abraham Lincoln at Fort Stevens, July 1864 (public domain illustration). 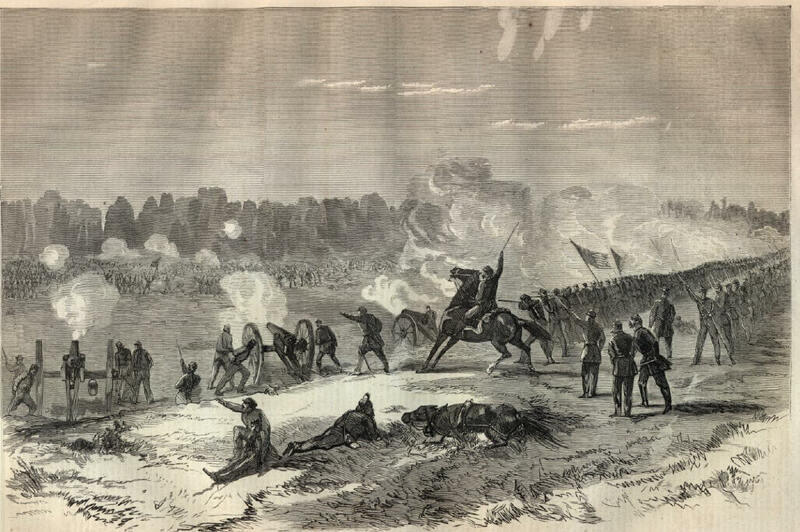 Battle of Opequan, 19 September 1864 (U.S. Library of Congress, public domain). 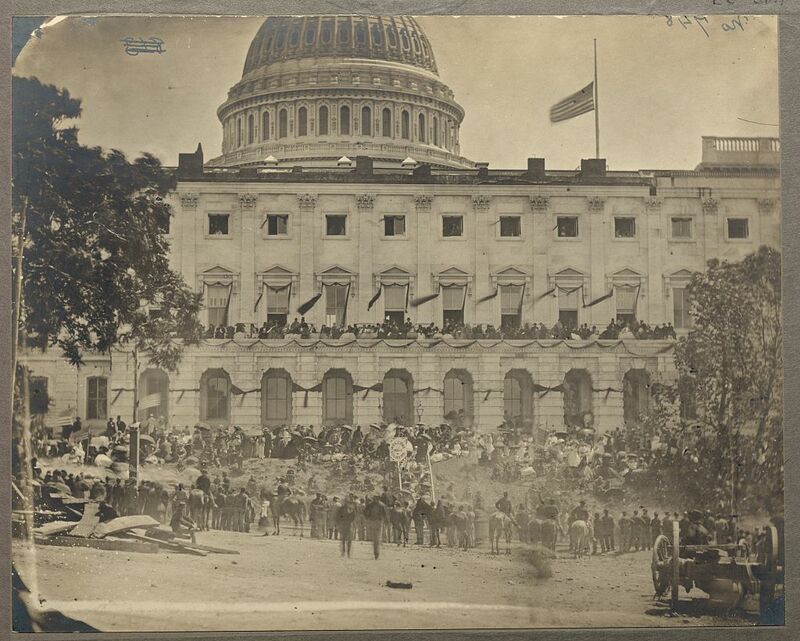 Spectators at crepe-draped U.S. Capitol, Grand Review of the Armies, 23-24 May 1865, flag at half mast following Lincoln’s assassination (Matthew Brady, Library of Congress). 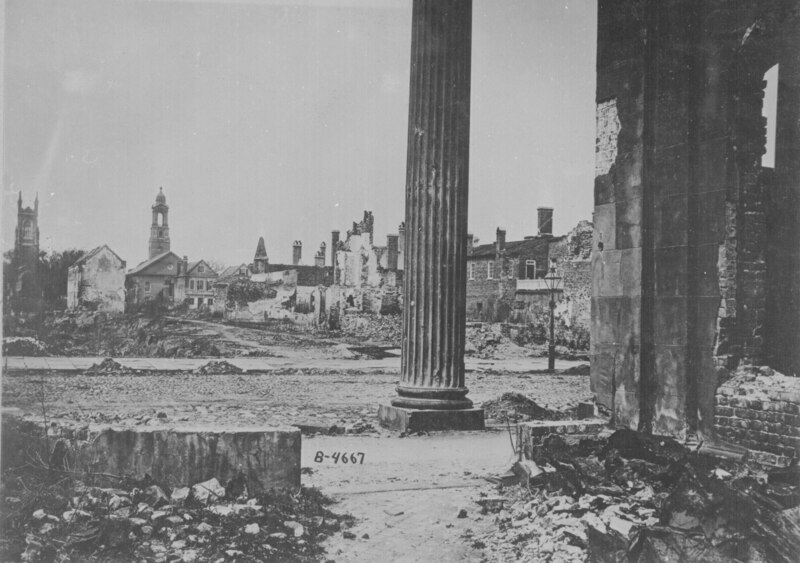 Ruins of Charleston, South Carolina, 1865. Source: U.S. National Archives, public domain.